Amazon's biggest competitor is Chinese e-commerce giant Alibaba in the cloud computing business says Goldman Sachs as Amazon Web Services (AWS) is steadily pacing towards the $10-billion mark. Aliyun, the cloud computing service company tied to Jack Ma's Alibaba, is rapidly pacing to the top as the investment management firm Goldman Sachs considers it as the biggest threat to the AWS, the top cloud vendor in the market today. According to a July report from the Business Insider, Amazon's cloud computing services far outpaced its competitors in the United States with earnings worth $8.9 billion during the course of 12 months. Compared to Microsoft's $1.8 billion, this amount and the added detail of a whopping 72 percent year-over-year growth is already impressive enough for investors to rush in and take a bite from its massive earnings. But while the AWS has defeated its biggest Western competitors, investment management firm Goldman Sachs noted that neither Google nor Microsoft come close to being the biggest threat to its reign, Business Insider reported on Monday. According to the firm, Aliyun is posing to earn $5 billion in revenue by 2019 which would then give the Chinese company an enterprise value of $42 billion. While it is still a far cry from AWS's $178 billion enterprise value, Aliyun is already cemented in second place and thus, considered as the biggest threat to the Amazon cloud vendor. "At these values, [AWS and Alibaba] would be two of the largest infrastructure technology companies in the world," Goldman Sachs noted. According to the investment management firm, Aliyun has a quarterly revenue growth of 140 percent year-over-year. Because of this, the Chinese cloud vendor has already earned itself a hefty $600 million in total revenue over the previous year. However, Aliyun still keeps an unprofitable status as it still has negative 35 percent operating margins during the second quarter of 2016 which is too far from the AWS's 30 percent. Even so, Goldman Sachs believes that the company with such potential should not be shrugged off of the cloud computing services industry. 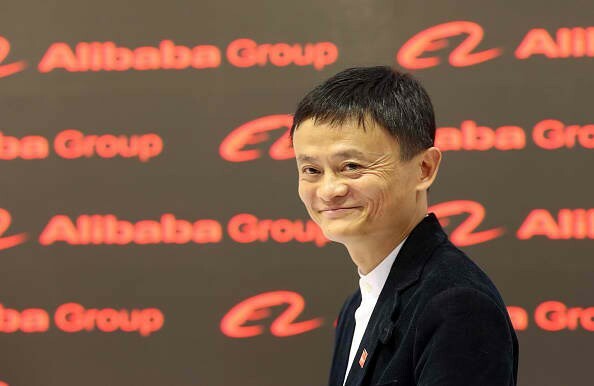 "In our view, many investors currently undervalue Aliyun's long-term market opportunity, and we believe Alibaba is well-positioned to be the cloud computing leader in China due to preferential government policy, regional focus, domain expertise from operating the core Alibaba marketplace sites, and an inherent advantage among SMEs due to Taobao and Tmall," Goldman Sachs explained in a note.